The final episode of a long-running TV series is often a cultural event. After years on the air, a news of a series finale can't help but invite fans to speculate about how it'll all end. Big sitcoms have signed off in lots of ways — there's the "central couple finally gets together" approach (Friends), or the "everyone splits up and moves on with their lives" finale (M*A*S*H), for example. With dramas, things tend to get a bit darker at the end — such as with an implied death (The Sopranos), or deaths foretold (Six Feet Under). It makes sense that a dramatic series would end with one last gut punch, but children's television is another story — you'd never tune in to the final episode of a show for kids and expect to be left stunned and shaken. And yet a handful of kid-vid writers have taken it upon themselves to close out their series with some spectacularly definitive — and dark — final episodes. 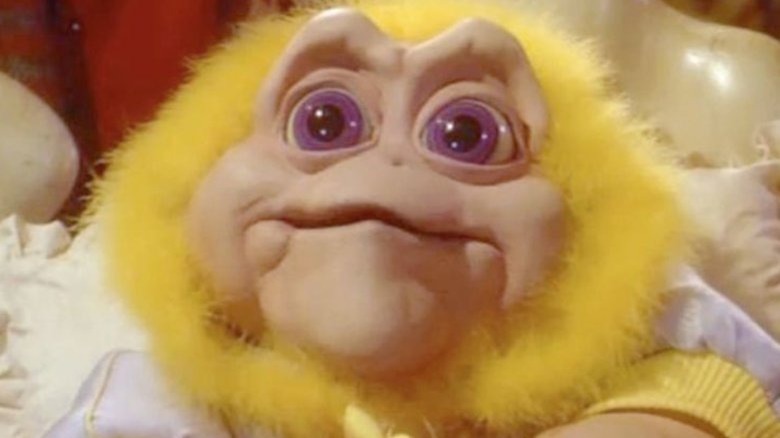 Here's a look at some of the darkest series finales of kids' TV shows. Airing on ABC from 1991 to 1994, Dinosaurs was a lightly satirical series cut from the same cloth as The Simpsons. It was also a Jim Henson production, which meant that the puppet-and-animatronics-based visuals were superb and the comedy was just as insightful, crackling, and family-appropriate as what you might find on The Muppet Show. The action focused on the Sinclairs, a middle-class dinosaur family from prehistoric Pangea. Head of the household was Earl Sinclair (voiced by Stuart Pankin), a blue-collar guy who worked as a tree pusher for the all-powerful (and probably evil) WESAYSO corporation. This family comedy surprisingly ended with a death — not just of one character, but the implied end of the entire worldwide population of dinosaurs. That mass extinction is set into motion when a plastic fruit factory is built on top of the breeding ground of a beetle that keeps an aggressive plant species called the cider poppy in check. The beetles die off, the plants grow wildly out of control, and Earl's company puts him on a task force that decides the solution is to spray Pangea with chemicals that will kill off those pesky vines. Instead, the pesticides kill off all plant life (i.e., the world's food supply), and the task force responds by trying to create rain clouds by dropping bombs into volcanoes. That, in turn, accidentally triggers an Ice Age that looms as the episode ends, with the frightened Sinclairs bracing for chilly oblivion. "Legacy" finds Superman, the ultimate good guy, going full evil, but it's not his fault — actual bad guy Darkseid brainwashes him into unleashing death and destruction. After Superman attacks some military bases, Supergirl tries to stop him and nearly gets killed in the process… which is when Lois Lane shows up and breaks the trance. 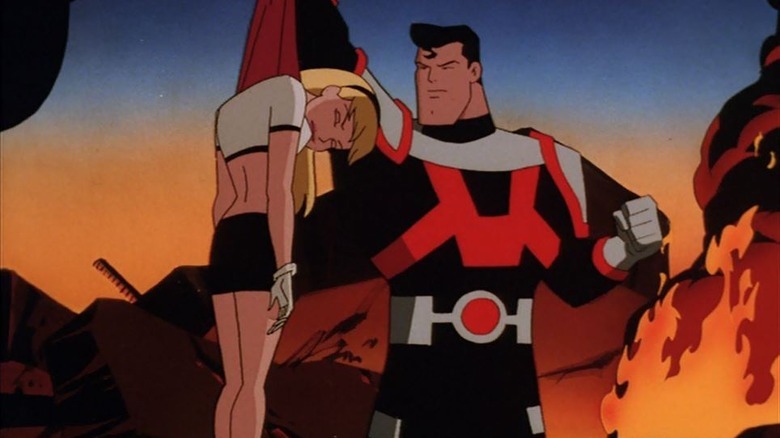 As he realizes what he's done, a kryptonite missile flies in, leaving him and Supergirl assumed dead. Later on, Superman awakens in a military prison, awaiting execution. Just after Lex Luthor and General Hardcastle begin to administer a lethal injection of kryptonite, the Man of Steel fights them off, and, with Lois and a weakened Supergirl in tow, escapes. Now on the lam from the military, Superman finds his way back to Darkseid's palace for a final, extremely violent confrontation. Superman nearly kills him, but then throws the bad guy's body from the palace walls to the ground below, imploring Darkseid's oppressed followers to do what they wish. Forever devoted, and to Superman's deep chagrin, they whisk the body away for medical treatment. As for Superman, well, he gets to deal with a planet full of people who feel betrayed by their onetime protector, unaware of the Darkseid brainwashing. Deflated and hopeless, he asks Lois how he'll ever earn back their trust. Lois kisses him and says he'll do it "one person at a time." 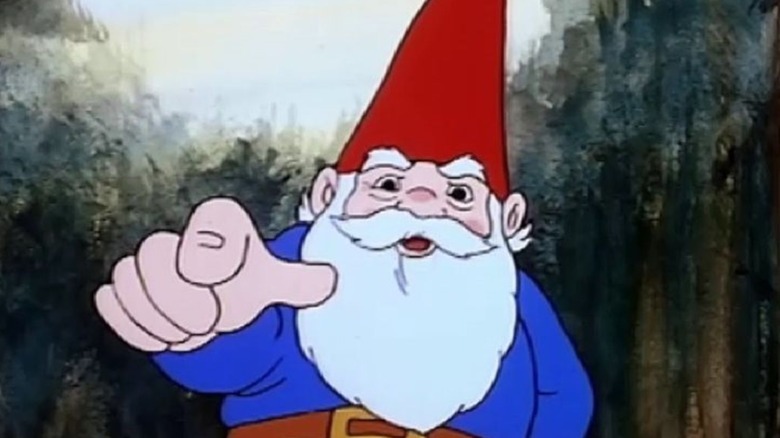 The World of David the Gnome, a gentle show about magical creatures and forest animals, served as the foundation of Nick Jr., Nickelodeon's block of toddler and preschooler-oriented programming. This richly animated series, based on the classic Dutch children's book The Secret of Gnomes by Will Huygen and Rien Poortvilet, followed around tiny, impressively bearded David (warmly voiced in the English-language version by Happy Days dad Tom Bosley) and his gnome family and friends as he went about his quiet gnome life, hanging out in trees and caves, avoiding trolls, and getting from one place to another via his animal pal, Swift the Fox. 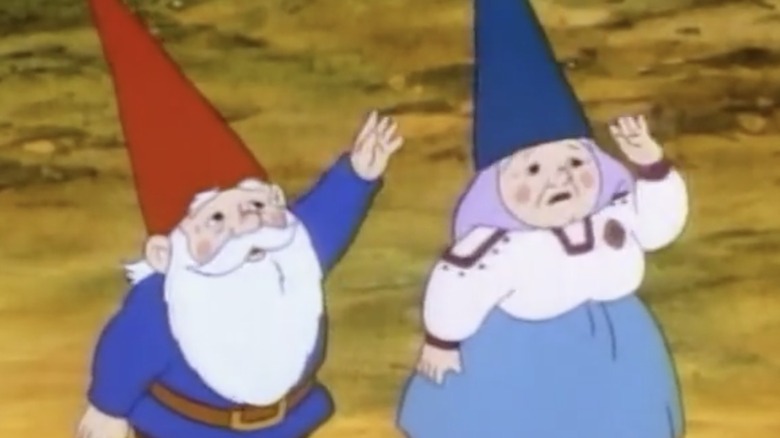 The World of David the Gnome went heavy on the gnome mythology, never more so than in the show's final episode. According to gnome lore, gnomes live to the age of 400 — exactly — and for the run of the show, David and his wife, Lisa, were right around 399. And so, on the series finale, death came for David, Lisa, and another 400-pushing gnome named Casper. Or, rather, they came for death. They did what 400-years-old gnomes do, and ritualistically accepted their fate, walking to the aptly-named Mountains of Beyond. Swift the Fox accompanies them and serves as a sad, sad, surrogate for the audience of three-year-olds watching at home as beloved David, Lisa (and Casper) transform into trees. A pocket-size toy line of action figures and playsets called Mighty Max reached toy stores in 1992. A year later, the Mighty Max TV series hit the air, adding a surprisingly rich backstory and mythology to those cheap plastic toys. Early in the show, Max mysteriously receives a hieroglyphics-covered statue that contains an ancient, teleportation-enabling baseball cap that enables him to do battle with a hideous magical monster called the Skullmaster. Mighty Max was one of the most violent kids' shows of the era, as the Skullmaster routinely, graphically, and definitively killed people. In the last episode, the Skullmaster even kills Max's friends, a prophetic fowl named Virgil and a viking named Norman. That leaves Max, for the first time, left face to face all alone with the Skullmaster. 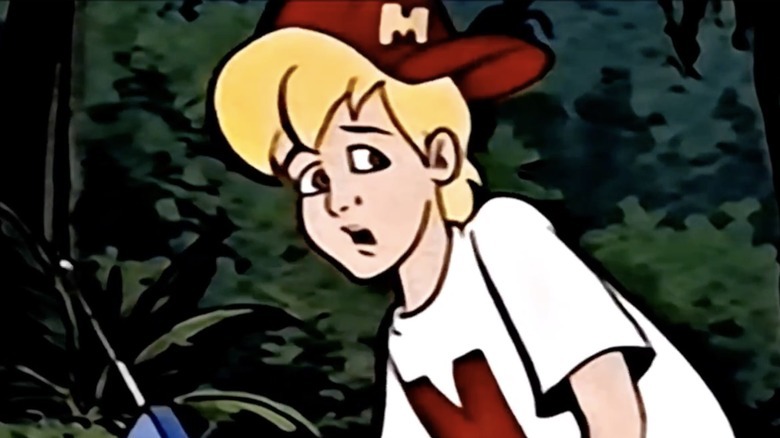 He's unable to vanquish him by himself, until he remembers that he can traverse space, time, and everything else with his enchanted baseball cap — which he uses to travel back in time to the events of the first Mighty Max episode. As a result of this Lost-like manipulation, Max at first thinks he's experiencing déjà vu, but then figures out that he's actually reliving history, and he goes forth to relive the entire series… only with an eye toward an outcome where his best friends don't die. In the '70s and early '80s, there weren't any streaming services and very few cable networks for niche programming, so the "big three" broadcast networks had more incentive to make room for family-friendly, live-action entertainment on their primetime schedules — such as Little House on the Prairie. Based on the Little House books by Laura Ingalls Wilder, Little House on the Prairie followed the lives of small-town Walnut Grove's residents, as well as visitors who could drop in and cause a little drama. After nine seasons as a regularly-scheduled series, Little House wrapped up with some TV movies during the 1983-84 season. The plot of the final chapter: A nefarious railroad owner and land baron named Lassiter (James Karen) buys up all the land in the area, and means to evict everyone in town. The locals object, of course, and try to use the law to fight him, but to no avail. Lassiter then calls in an army cavalry unit to force everybody out… but by then, they're willing to leave. That's because the residents took the extreme measure of blowing up the whole darn town, as if to say "if we can't have it, nobody will." Imagine, if you will, a time in which children were not computer-savvy, and we needed semi-educational television shows to familiarize them with the basic concepts of technology. That time was the 1990s, a period in which ABC's Saturday morning lineup included a show called ReBoot. Set inside a computer city called Mainframe, the action derived from a "guardian" named Bob who, along with other computerized characters, protected the city against viruses named Hexadecimal and Megabyte. ReBoot could be a little corny at times, what with awkwardly named characters such as Mouse, Hack, Slash, and Dot Matrix, but the pioneering computer-animated cartoon ran for four seasons on various outlets, demystifying computing terms and processes for millions of impressionable, tech-minded kids. Many of those same kids were likely traumatized by the surprisingly dark ending. The gist: Megabyte, in the form of a Trojan horse virus, gains access to the good guys' lair and sets out to infect every program in existence. 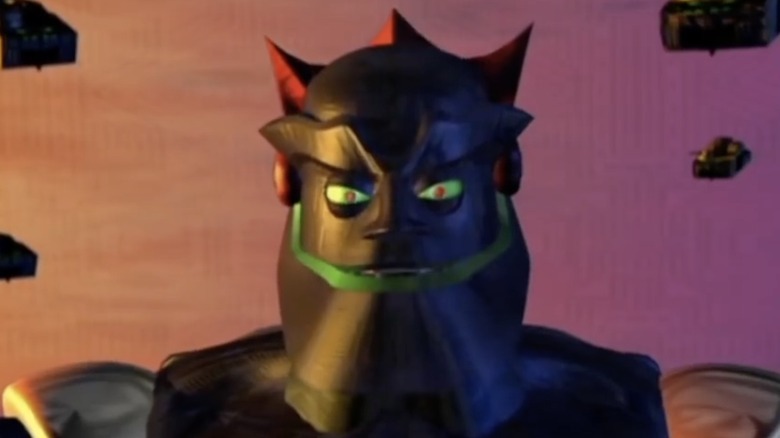 In other words, Megabyte destroys the world of the show and the heroes don't know how to stop it. Nearly every episode of Full House followed the same comforting formula: One of the Tanner kids does something dumb, their dad gives them a gentle lecture about how growing up is hard, Uncle Jesse says "have mercy," Joey does a silly voice, baby Michelle says "you got it, dude," and everybody hugs. 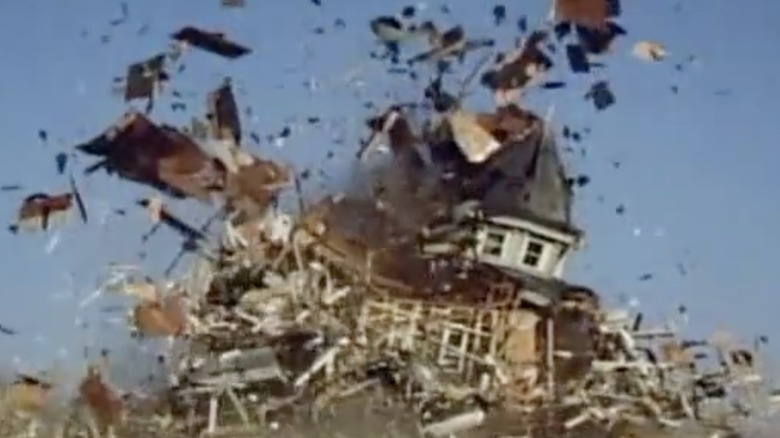 There were never many lasting ramifications of the kids' antics, which is why the show's final episode in 1995 was so shocking. In the two-part wrap-up, Michelle Tanner (Mary Kate and Ashley Olsen), by then a self-assured eight-year-old, pleads with her father Danny (Bob Saget) to let her compete in a horse-jumping competition. He agrees, but certainly has some regrets after Michelle takes her mighty steed for a joyride — the horse throws her, and she hits the ground hard. After she regains consciousness in a hospital, the family learns that Michelle has sustained complete and total memory loss, a.k.a., amnesia. That's merely a device by which the Tanners and Tanner-adjacent characters can jog Michelle's memory by reminding her of all the good times they'd had over the years, in the form of clips of old Full House episodes. Part of the Digimon universe of cartoons and games, Digimon Tamers was a one-season wonder (it ran from 2001 to 2002) about cute animals that are also magical fighting monsters trained by children. 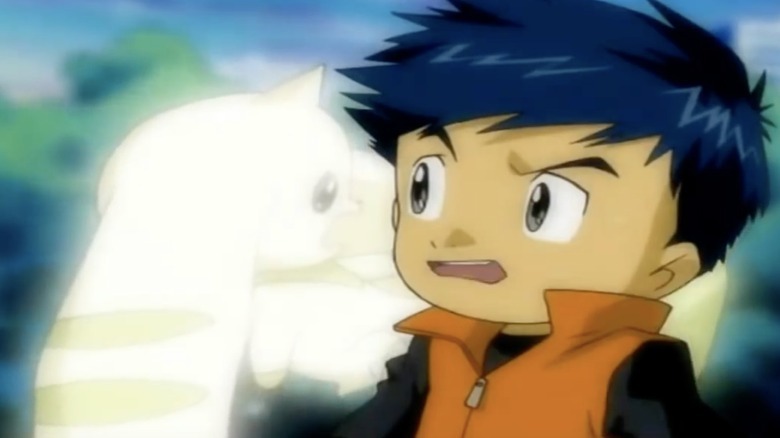 It's a fad both started and outlasted by Pokémon, so one could argue that Digimon is something of a Pokémon knock-off, except that no Pokémon series ever dared to horrify its audience of children by killing off its entire cast of adorable creatures. On the final episode of Digimon Tamers, the various Digimon and their human companions wage war against the evil D-Reaper. They prevail, and send the bad guy back into the digital world from whence he came… but it only works because the Digimon themselves have to get sucked into oblivion as well. One by one, the cute little guys disappear as their heartbroken people look on. Sure, the cliffhanger seems to suggest there's some sort of portal to that other realm, but for all intents and purposes, those Digimon are gone gone gone.